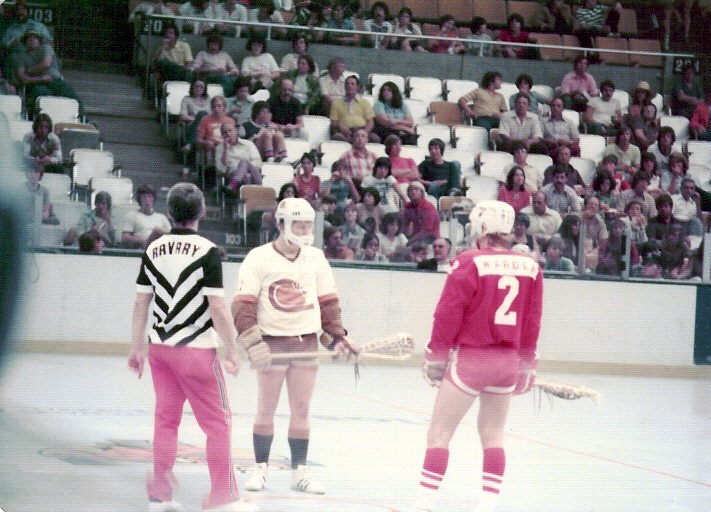 Hot sweaty arenas were the norm for box lacrosse players in Canada during the Ontario and Eastern Canada summers back in the 60’s and 70’s during what was my time in box lacrosse as a player. Truth is that in many small towns today that is still the case. 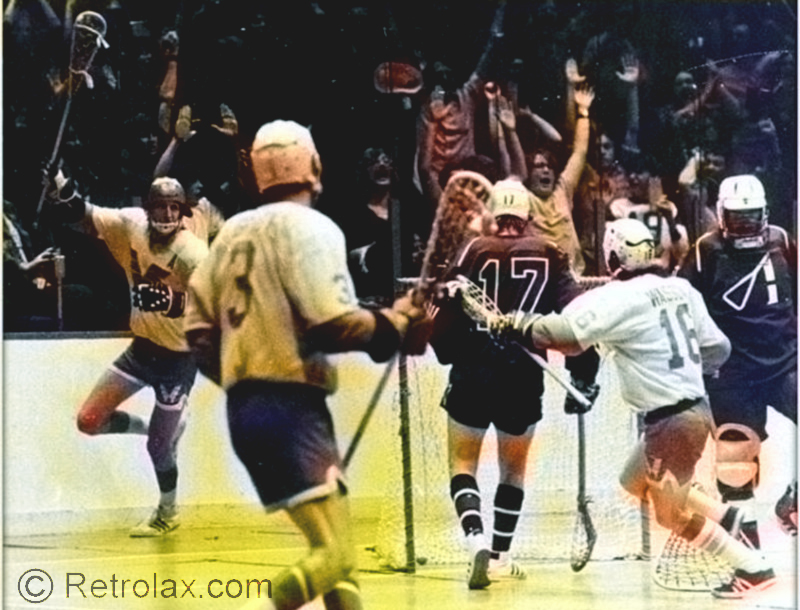 Along came the National Lacrosse League in 1974, good timing for some, too early or too late for others. 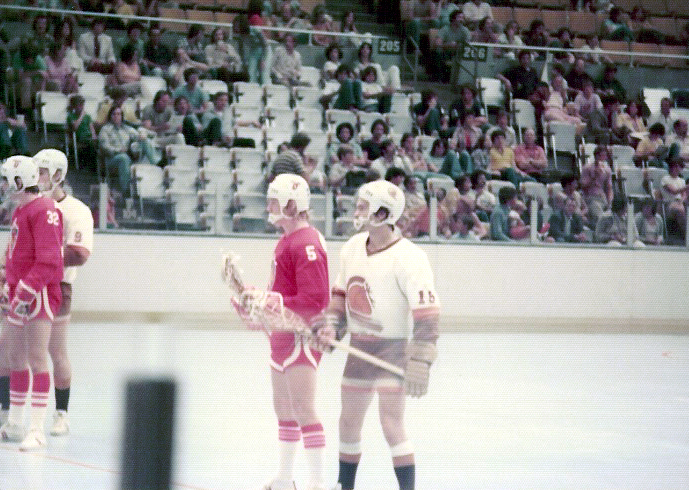 Maple Leaf Gardens in the summer was as hot and sweaty as anywhere and so was the Onondaga War Memorial Auditorium in Syracuse, who’s name alone “War Memorial” tells you how old it was and, the Quebec Colisee where we played in 1975 as the Caribous. Cannot really remember the “air-conditioning” abilities of other rinks. I suspect most were not, that’s my best recollection having played before helmets. There are many memories from those two seasons. I sit, going over in my old age, a box of material collected by my parents from those summers. 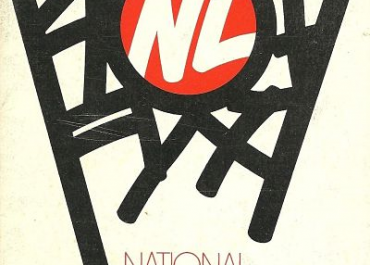 This provides reminders of things long forgotten. Never would happen without the simulation of the contents of this magical box. 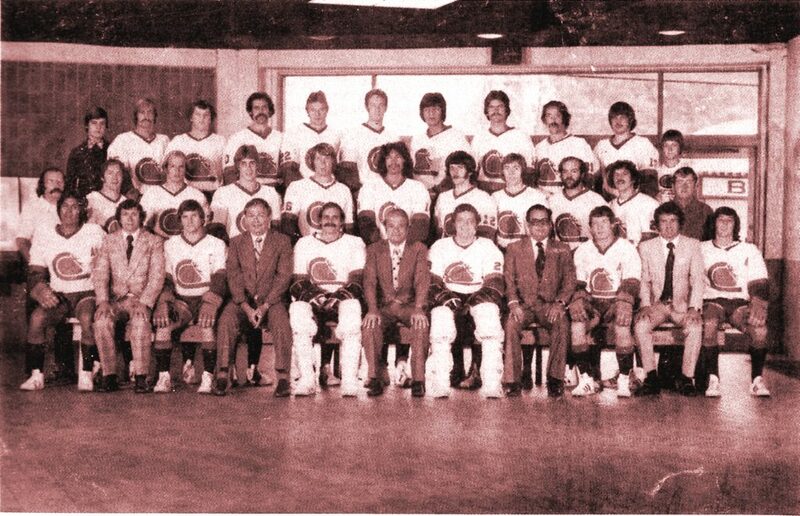 After the dismal season in Syracuse in 74, bad start, missed the playoffs we were in the heat of the battle in the summer of 75 which made us all just a bit hungrier to prove “something”. Aug 14 1975 was a night to remember in Long Island N.Y. for Les Caribous! We were in the heat of the battle, for a playoff position, it was August, the season was winding down and Les Caribous were in the midst of a skid where we had lost too many games. All kinds of nasty thoughts in our heads if we would let them creep in after games played during that stretch. Every team was in the hunt, one goal losses, bus trips lots of time to think. Agony on any level but also opportunity. 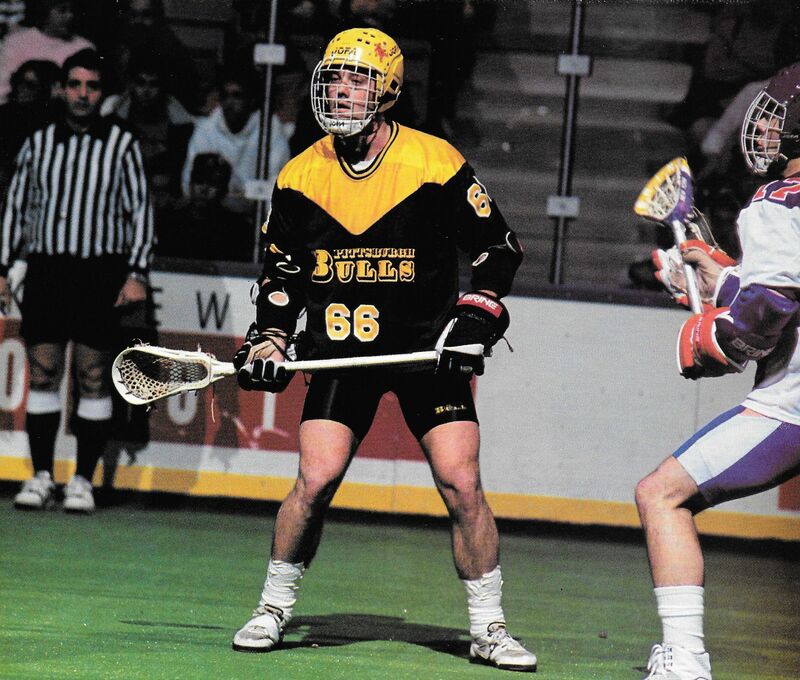 Aug 13th in Quebec City…Boston Bolts defeat the Quebec Caribous 15-14 handing the desperate Quebec squad their 6th loss in seven games late in the season on this night in the hot sweaty Colisee. No time to rest as we played the very next night in Long Island and were due to fly out of Quebec City to take on the first place Tomahawks in our weakened state. After showering we headed out to the pub for a beer to unwind and try to figure out how to avoid disaster as many of us had also been in Syracuse the year before. This night in Quebec things all came to a head, we as was normal had more than one beer, way more and as closing time approached in the door came Chris Rudge. Now, the sight of Chris normally didn’t bother us but to see him through the smoke filled bar in Quebec at this hour could only mean that something was wrong. 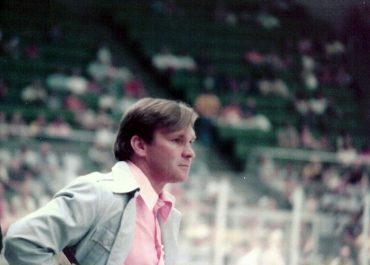 Rudgie was our Director of Player Personnel, both he and Medo Martinello had been out looking for players in various establishments because this night we as a team had a problem. Some of us they reached in the pubs, some were at home sleeping (as we all should have been) to tell us that the airport was closed because of fog and that the decision was made to drive to New York on a bus! RIGHT NOW. Fog was forecast for all day the next day. “Get your stuff, meet at the rink” and we are off to New York for the game tomorrow night at 7pm. We gathered at the Colisee at about 4:30 am as trainers were packing the still wet equipment into bags, a thankless job really, tape, supplies, extra this and that as may be necessary for this walkabout when we are all dog tired. We pulled out on the road at I am not sure what time for New York New York as Frank would say. A bus full of not very happy players who somehow had to rest up, get some sleep, heal their fresh wounds and get game ready to face the best team in the league in a few hours after a heart-breaking loss at home. Not sure what happened at the border, or where we stopped to eat or stretch our legs but in those days the drive to Long Island N.Y. was about 10 or 11 hours on a bus. We played cards, slept and tried our best to prepare for the game and pulled into the rink about 20 minutes before game time. It can take 10 hours to just drive across town in N.Y. some days. The game was delayed a bit and we had our warm up, pre-game instructions and away we went as the opening face off took place. Long Island knowing by now our story must have thought they would roll over us but for some extra-terrestrial reason Les Caribous hung tough and at games end the score was 20-20…so OVERTIME which thrilled us to no end! 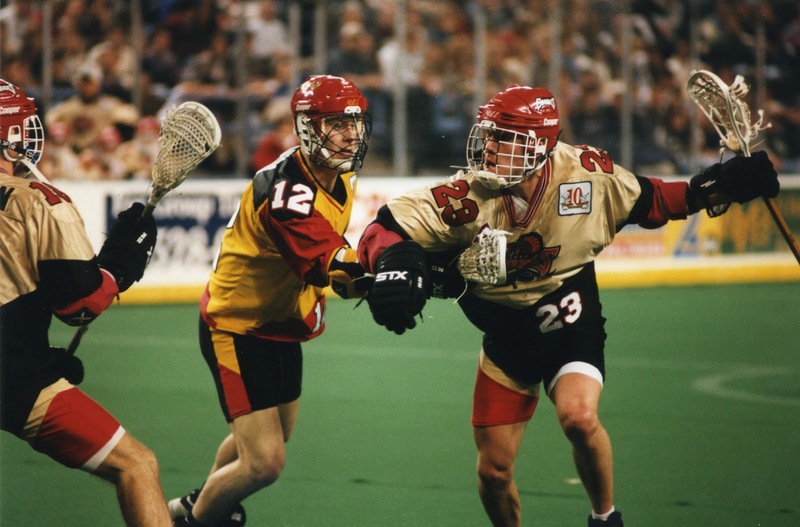 I remember Murray Cawker scored 4 goals in overtime and we WON 25-21!! Most of the rest is a blurr.. Incredible, when you consider just a few hours before our Medo and Chris were rounding us up and we were in the middle of a serious losing streak, to jump on a bus for this trip. 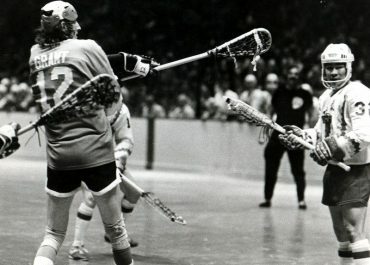 Million-dollar athletes we were not, playing lacrosse in that league financially was almost a sacrifice for most. We were all young, full of beans and bulletproof for the most part. We looked at this as our challenge our mountain to climb and we were determined to never let go of ‘that look in our eye” of commitment to each other. Now, the funniest part of this whole story. 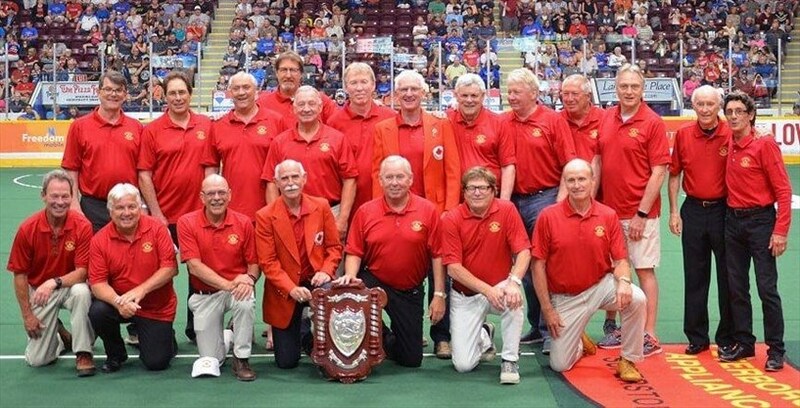 In the jubilant dressing room after just beating the best team in the league to stop our slide we were greeted with the news “ok way to go guys now, back on the bus we are headed back to Quebec”. Nope, not staying the night, no trip to the Salty Dog. That stunned look on our faces pretty much said it all. “Ok let’s go to the beer store, load up and we’ll be off!” We drove back to Quebec City all night long and into the next day. 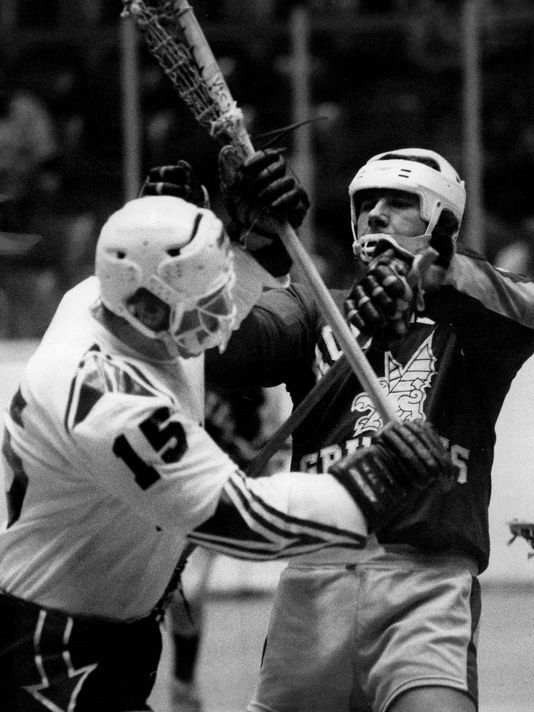 Our next game was the 18th against those pesky Boston Bolts again, this time in Boston where we lost 20-17 and went back into depression playoff wise. After that we went on a run where we finished the season winning 5 of the last 6 and Philadelphia lost 7 or 8 in a row, and we made the playoffs. Hence the Worst to First story. 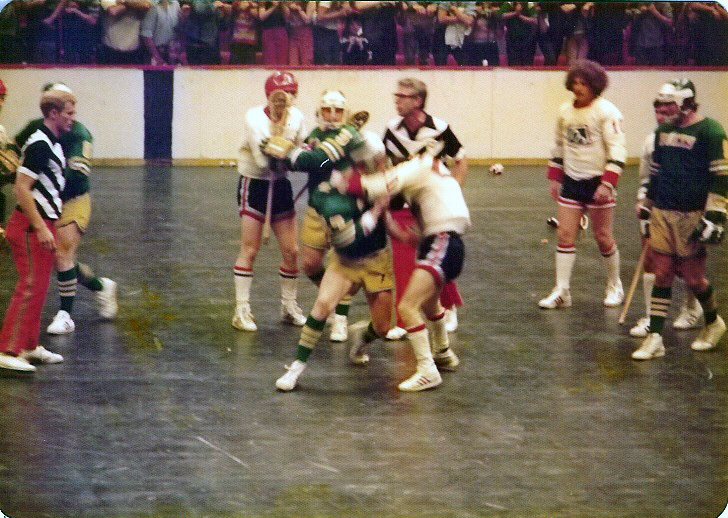 First round of the playoffs in 75 we faced Morley and the season best Long Island Tomahawks. Best of seven series. No telling just how that August 14 night played on their minds. They finished a mile ahead of us in the regular season (but just as in 1978 and our Canadian National Team Field win over the USA in England) sport creates moments where things happen. No telling why or how they could ever unfold in such a manner. 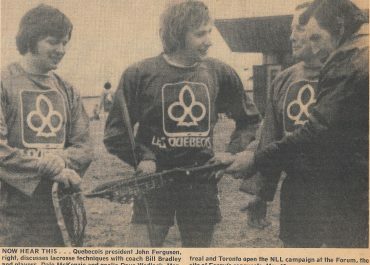 Quebec Caribous defeated Long Island in 6 games then took on the Montreal Quebecois in one for the ages provincially. The bus trip to Long Island, team struggles and previous season woes all behind us. QUEEN put it best.. ”We are the Champions” and 44 years later we still smile.